This is a question we field frequently these days. The short answer is that eco-fiction is simply fiction that deals with environmental themes. Yet these issues show up in novels and stories in so many different forms, from mysteries to thrillers to literary works. 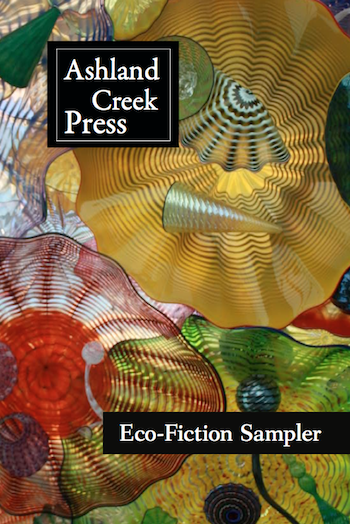 And so we thought it would be helpful to provide free excerpts of the works we’ve published that qualify as eco-fiction. The PDF is free to download and share. And please do. We’d love to raise awareness of the very important field of literature. ACP, It’s great to hear about some decent coverage of eco-fiction. I just launched “Aqualene: High Adventure to Clean Energy” which seeks to intrigue you eco-minded folks looking for a sustainable tale of a young engineer with a damn good reason to run from BigOil. Hi Paul — Thanks for the comment. Best of luck with your book!